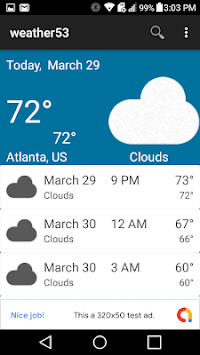 This weather App provides a five-day forecast for user's current location with three hour intervals. 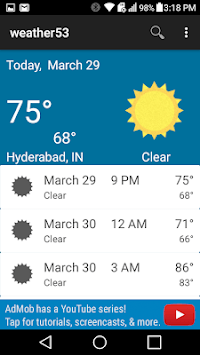 Users can also get forecast for any major and most remote cities by simply typing in and selecting your desired city from the list of suggestions. 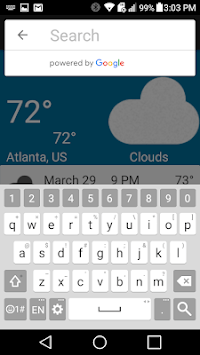 Display issue on large screens/devices fixed in this release.